I am constantly reminded of the importance of building positive relationships with our customers. And here I’m using the term ‘customers’ to refer loosely to the people whom we serve. They could be our guests, our clients, our members, our patients or even our families. Often, what customers say they want is not really what they need. And through strengthening relationships with those whom we serve, we build up experience and tacit knowledge (that which may not be articulated) of that client and their needs. And by matching those needs with our products or services, we are far more likely to have positive outcomes that keep others happy. In addition, by knowing our customers capabilities, and those of our products or services, we are more likely to be able to pro-actively suit their changing needs and sustain the relationship through customer loyalty. I’d like to share a recent example. What I love about the Oyster Box Hotel’s management team is how they pro-actively make the world a better place for everyone. We are frequent guests but because my husband is handicapped, for many years he has preferred to remain on the hotel verandah or pool and not venture down onto the beach. Thus he cannot remember when he last felt sand beneath his feet. On a previous visit, the maintenance engineer, Jonathan Olsen mentioned that he had noticed that Ed remained on the verandah or near the pool and never went down the steps onto the beach. Jonathan suggested that he, with his team, would help get Ed down onto the sand. This seemed a difficult feat even if the team were to almost carry Ed in a wheelchair down the steps and onto the beach. However, Jonathan inspired such confidence that with his assistance, Ed was able to hold onto the rail and walk down the steps. Once on the beach we were treated like royalty with chairs and table neatly set up for us and Simon Chakanyuka being assigned to look after us. The ‘cherry on the top’ was a plate of delicacies with ‘well done’ written on the plate. I say ‘well done’ to The Oyster Box Hotel’s management and staff who pro-actively explore possibilities, ensure comfort and enable guests to experience life to the fullest. They certainly provide service excellence at its best. Our family is extremely grateful to them for their many kindnesses. How well do you know their needs? In which ways can you anticipate how you may make the world a better place for them? What action can you take now to serve them better? How soon can you implement your intentions? I appreciate really good service and I’m sure you do, too. And I like to draw attention to those organisations and individuals providing exceptional service. ‘Catching some-one doing something right’ is the way I operate and I take great joy in actively following through and giving those individuals and their superiors specific examples as to why I’m praising their efforts. In the last few days I have been pleased to receive outstanding service from three different groups of people and I’d like to share these examples with you. It is interesting that the first is one of the top hotels in South Africa. The second is a company offering an ambulance service. And the third example is a group of family and friends whose informal support meant a great deal to my husband and to me. So what do the three diverse examples have in common? They all gave us exceptional service. My first example involves the Oyster Box Hotel, Umhlanga, Republic of South Africa, part of the Red Carnation Collection of Hotels. We are regular guests at the hotel which is our favourite place for holidays, business functions and also exceeds expectations for celebrations like my husband’s 70th birthday where we hosted an outstanding breakfast function for 70 people in May 2014. We value the wonderful ambience, attention to detail, professionalism and exceptionally high levels of service. However, the calibre of an establishment can often be tested more stringently during trying times rather than under ideal conditions. This hotel became my place of refuge during my husband’s recent medical emergency described in the second example below. 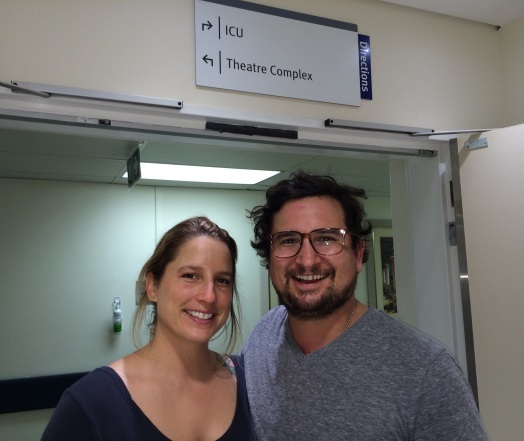 I needed to be as close to the hospital as possible during the time he was in ICU and being a very busy time of the year, I didn’t want to travel backwards and forwards to Pietermaritzburg on a daily basis. Although the Oyster Box Hotel was fully booked, being the Christmas week, they ‘found’ me accommodation in their customary charming manner. The story unfolded on a daily basis and they adapted accordingly to suit my needs. I had not had time to pack clothing properly before following the ambulance to Umhlanga and they attended to my laundry. They also provided drivers to take me to and from the hospital and this was very much appreciated as the traffic was very heavy during the Christmas rush. The management and staff were always ‘there’ to support me. I highly commend Wayne Coetzer, the General Manager, his management team and staff at all levels individually and collectively for their kindness, sincere concern and their efficiency. The levels of service went way beyond what could ever have been imagined. They got the job done, yet put people first. In the second example, the two individuals are accustomed to dealing with crises. However, as the primary customer, I had the impression that their emphasis was not only on getting the job done. They showed compassion and a strong service ethic. 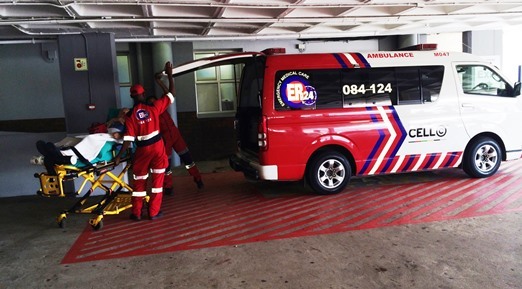 On Sunday, December 21, Ndumiso Khoza (Intermediate Life Support) and Yenziwe Olifant (Basic Life Support) of ‘ER24’ (Emergency Rescue, 24 hours) gave exceptional service when they transported my husband by ambulance from a hospital in Pietermaritzburg to the Intensive Care Unit at the Umhlanga Hospital, a journey that took well over an hour. Some of the reasons (just a few of the many) for my commending them on their attitude and behaviour are as follows. It was a pleasure dealing with them. The paperwork was enormous and the wait before we could leave the hospital in Pietermaritzburg was ridiculously long. Appropriately humorous. While we waited endlessly for forms to be filled in, other forms to be copied downstairs, envelopes to be collected, Ndumiso made light of a tedious situation with his humorous comments. 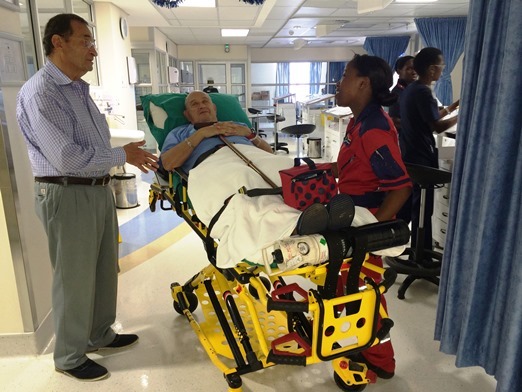 They followed procedures required by ‘ER 24’ and by both hospitals, but at all times considered the patient. Polite to everyone. I noticed that they treated the patient, the spouse and the hospital staff at all levels politely and with respect. Able to inspire confidence. I knew that my husband was in good hands. Considerate of all participants, including me, the spouse. They kept me informed and knowing that I was following the ambulance (for more than an hour) in my car, made sure that they kept me in view while on the road. That is just one of the many examples. It was interesting that when we finally were able to leave the first hospital and travel to the second, a great deal of time had passed and I was concerned that Ndumiso and Yenziwe hadn’t eaten lunch. I offered them money to buy food at the hospital. Yenziwe politely refused explaining that they weren’t allowed to accept money and that permission would have to be granted. I like dealing with organisations where honesty is valued. I commend the company, the management team and the individuals on the exceptional service that these two young people gave us on Sunday. Well done! Ndumiso Khoza and Yenziwe Olifant of ‘ER24’ on arrival at Umhlanga Hospital. We often forget that by supporting each other we are informally providing a service. During Ed’s recent stay in hospital, family and friends made regular contact and were always ‘there’ to support us in so many different ways. Some even braved the rigours of ICU (aprons, gloves, spray, only one-at-a-time allowed into the ward and only for a few minutes). There were also the cousins and friends who came and visited me at the hotel. Thanks everyone! At a time like this we really appreciate positive relationships and those who actively show support either in person, by phone or electronically. Cousin Sean McGladdery and fiancé Amy from the USA who braved an ICU visit. Exceptional service can be offered routinely. I like being able to share examples of where organisations or individuals have ‘shown their mettle’ by continuing to provide high levels of service even under unusual circumstances. Thank you to all of those who have given me these excellent examples. Well done! For more information on Customer Service training or any of the other services offered by Brenda Eckstein International, please contact brenda@strategy-leadership.com or phone +27 82 4993311. The most serious situations can often be softened by outrageous humour. Here is a story which really ‘takes the cake’! Let me set the scene: Recently, my husband Edgar experienced a medical crisis in which he needed to be transported by ambulance to an ICU (Intensive Care Unit) more than an hour away from our home city, Pietermaritzburg. This was an emergency and I needed to be based near the Umhlanga Hospital. Our favourite hotel, the Oyster Box Hotel became my place of refuge. The management and staff provided a sound base from where I could visit my husband a few times a day, have my laundry done and be looked after in a myriad of ways. Despite the fact that this was the Christmas week where the hotel was fully booked with local and international holiday makers, the management and staff charmingly supported me and accommodated me as the story evolved over a four day period. Nothing seemed too much trouble for them. When Edgar was discharged on Christmas Eve, we chose to spend the night at the hotel so that we could be near the hospital and also avoid the traffic on the journey back to Pietermaritzburg. On Christmas day as we were about to depart from the hotel, the General Manager, Wayne Coetzer and his team presented us with a gift, a cake made specially for us. But this was no ordinary Christmas cake! 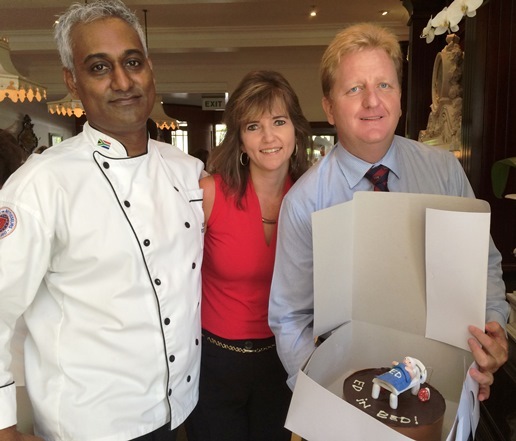 The cake prepared by the Oyster Box Hotel Management Team. I prefer your representation of events. It really does ‘take the cake’! ‘Ed in bed’ looks much happier (and healthier) than in the photo below where he is the ambulance bed. L-R: Dem Kambouris, Edgar Eckstein and ‘ER 24’ Ambulance Support attendant, Yenziwe Olifant. Wayne, ‘thank you’ to you and your team for going to so much trouble and making us laugh. 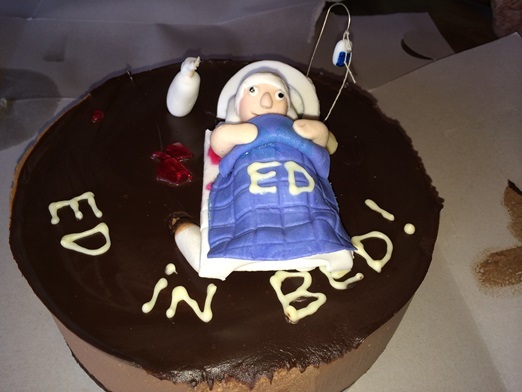 We love the detail on the cake – the drip, bottle, blood and bald patch at the back of Ed’s head are all relevant details. The cake was a great parting gift and we look forward to eating the delicious contents, too. Please thank Kevin, Tyler and whoever else was involved in the conception and execution of this hilarious Christmas present. Humour certainly does add life! L-R: Executive Chef, Kevin Joseph, Assistant General Manager, Tyler Liebenberg and General Manager, Wayne Coetzer. The Oyster Box Hotel has a soul. While maintaining excellence and professionalism, the management and staff get the job done. Yet, kindness and caring prevail and these values are lived consistently at every level in the organisation. I applaud the Red Carnation Hotels Collection in sustaining high standards yet making sure that they put people first. For more information on the services offered by Brenda Eckstein International please contact brenda@strategy-leadership.com or phone +27 82 4993311. Heroes come in many shapes and sizes. And sometimes our stereotyping prevents us from recognising the value of these people. In the last month I’ve been privileged to interact with two individuals who most certainly are heroes from my perspective. The first is a quietly spoken man, France Mthiyane. I first met him as a participant in a customer service training workshop, part of an ongoing programme run for over 300 staff at Save Hyper, Pietermaritzburg. During a session I was telling the story of my childhood and how my mother gave me the responsibility for polishing the apples in her store. Having shiny apples gave her business a competitive advantage. In addition, by assigning me tasks that I was capable of being good at, she was setting the path for my future success. I tell this story in workshops and then ask questions that will help participants to gain insight. After a few questions, I asked: ‘So, once I’m continuously polishing the apples and making them look good, and more and more customers are coming to buy them, what do I need to be careful of?’ The customary answers would likely be: don’t stop - continue polishing to keep up the standards – reputation management – continue assigning tasks that will help people to become successful etc. In addition to these responses, France put his hand up and explained how we have to treat each apple with great care so that we don’t drop it. And then with wisdom, he expanded on the concept. His message conveyed the importance of respect for all people and all things. Brenda Eckstein, France Mthiyane and Rashaad Solomon, Manager Save Hyper. Throughout our programme I have been impressed by his ongoing contributions. However, when shopping I have also watched him on the Save Hyper ‘floor’, too. He is often near the front helping any customer who needs a basket or other assistance. Or we might find him pushing heavy trolleys or helping other staff members in some way. People must think he is important, that he has a fancy title. However when I asked him what he was employed to do, he proudly answered, ‘I look after perishables’. I wanted to know more! He explained that his job description is ‘fridge packer’ and that he deals with cold items. He said this with pride and obvious enjoyment. Then he added: ‘You must like what you do, and then you’ll be successful’. This great lesson and France’s wonderful example show us that every one of us can go way beyond the boundaries imposed by a job description. If we love our jobs and are prepared to make the effort, we can excel at any level. Throughout the course, each week he has consistently been chosen as a ‘Customer Service Hero’ by the staff. I commend the Save Hyper directors and management team for announcing France as the first ‘Staff member of the Month’ (October 2014). My second hero is an insurance assessor. At the thought of claiming from insurance most of us go into ‘flight mode’. We know it isn’t going to be easy to gain fair compensation. And although we have suffered a loss, however small or big, we get ready for the ‘fight’. Yet, there are heroes out there and I’d like to tell you more about my dealings with Reyaz Allee, Claims Assessor, KZN Claims Processing Hub, Mutual & Federal Insurance Company Limited. Here is the background: a few weeks ago disaster struck in the form of a burst sewerage pipe which flooded two rooms at our home. To get to this guest suite, we have to go out through an external entrance and down some stairs. As my husband is handicapped and now battles to get down the stairs, we don’t often use that area. In addition we have spare bedrooms in our main house so when family or friends come to stay, there is no need to use this exterior guest suite. However we do use it for storage and go there perhaps twice a month at the most. On one of these visits, we were horrified to find that not only had the bathroom been flooded but so had the bedroom, now a storage room. I was shocked and dismayed that something like this could happen in our home. Yet this was an emergency and I had to work out how to manage this dreadful situation. In a state of panic I called the plumber who came with a team of five and ended up working for four days chopping away banks, digging up the garden, tracing the fault and then repairing it. They also started the initial cleaning. I also managed to engage industrial cleaners who came on site immediately. However it was only after we’d set the process in motion, trying to create order out of chaos, that some-one asked what role our insurance company was playing. I hadn’t thought about that! I phoned our insurance broker who immediately swung into action. Yet I still felt overwhelmed at the thought of filling in all the forms, getting quotes and still trying to manage the clean-up process. When I was told that the assessor had been appointed, I wasn’t sure whether I was in fight, flight or freeze mode. However Reyaz Alee instantly became my hero. He dealt with this dreadful situation with efficiency and compassion. I was really upset as many sentimental and valuable items had been destroyed or contaminated. How do you ever replace an antique leather suitcase? You can’t. And what about my mother-in-laws sleeper couch? Yet Reyaz became my partner in finding the best possible outcome. He immediately sent builders to remove the wooden doors and steps. He also included Lynda from ‘Gran & Gramps’ who became a fairy-godmother – or shall I call her a ‘heroine’? She advised, looked for solutions and came and collected our valuable wooden furniture to decontaminate and restore it. The plumbers, builders, cleaners, Lynda, ‘salvage contactor’ and Char, who was dealing with curtains and blinds, had to be managed and Reyaz did that, being accountable and keeping me informed at all times. We were partners in creating order out of chaos. And I believe that after hours of careful negotiation, on each item (and there were hundreds) that we were able to achieve an outcome that was fair to all parties. Reyaz, I commend you as one of my heroes. 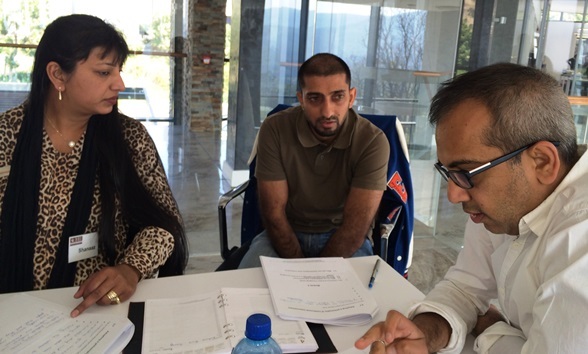 France, a ‘fridge packer’ and Reyaz, an ‘insurance assessor’ are unlikely heroes. What are the characteristics of these two very different heroes that put them in a category way above others in their fields? What part does their excellence play in shifting our perceptions of the brands they represent? Name two unlikely heroes with whom you have interacted in the last month. What characteristics or behavior made them extraordinary? How might their behavior have impacted on customers’ or clients’ experience of the service the company or firm offers? What have you done to show appreciation? And how have you escalated your commendation to higher levels within their organisations so that they’ll be recognised by their superiors? Heroes are everywhere. Notice them and show appreciation. An added benefit is that you might become one of their heroes! For more information on Customer Service Training, Executive Coaching or Keynote Speaking, please contact brenda@strategy-leadership.com or phone +27 82 4993311. Since I first met you at the NSAA Convention in Melbourne a few years ago, I have marveled at the way in which you have built up the Beechworth Bakery and other businesses. Thank you for being such a wonderful inspiration. I love reading your stories of how at the age of 6 years you decided that you had to be able to buy your own mattress. You immediately started working towards your goal which you achieved through being a hardworking entrepreneur. By then you knew how to succeed and have continued to build on that. Yes, we need to have purpose. And you have an excellent ability to combine purpose with your passion and thus achieve excellent outcomes. They are talking to a group of Cordwalles Primary children and their teachers. This was part of an interactive workshop. I’m sure you are already saying ‘I know where they got that idea’. And yes, you do. Your examples from Beechworth Bakery had a huge impact on the management team and staff and we are very grateful for that. During a ‘Sustainable Customer Service Strategy’ programme which I’m running with Save Hyper at present, spanning a period of 6 weeks, I showed them your video and they decided to follow your example of encouraging children to come into the bakery. The group of children and teachers spent three hours at the bakery yesterday. 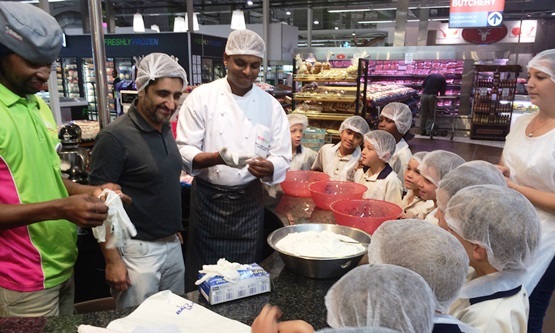 As Rashaad Solomon, General Manager said, ‘This was a branding exercise and way of connecting to future customers.’ He also said: ‘I was so touched seeing the excitement and enthusiasm on the kiddie’s faces.’ After a productive and exciting morning, the children each took home a cupcake and loaf of bread. And as you mention in the video, Tom, those children are going to be reluctant to let their parents buy bread elsewhere! Show appreciation. Our theme this week is ‘Show appreciation’ and all 300 staff have been asked to actively and sincerely tell customers that they appreciate them and the business they bring. They are working on this principle both at work and in their home situations. Each participant needs to apply the principle and ‘catch some-one doing something right’ in relation to showing appreciation. Next week staff need to come with examples of what they have seen and done during the last week. So, Tom, I’m setting the example by telling you how much I appreciate your ‘way of being’. The photo shows a concrete example of where you have impacted positively on others and I’m grateful to you. Passion fuels positive action. Your passion and actions are aligned. You have always worked incredibly hard in order to achieve your goals. The Save Hyper team is doing exactly that. They are following a path that generates enthusiasm. 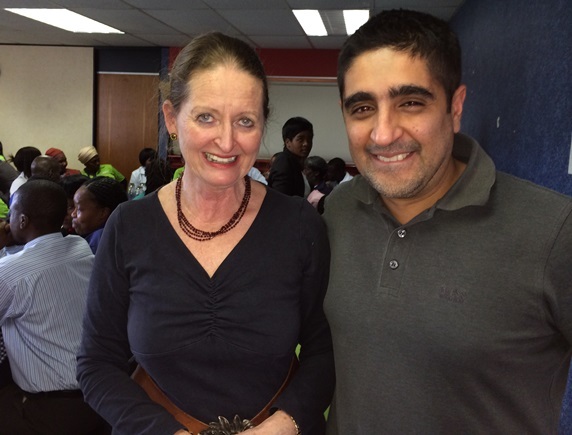 No wonderful they are the current Pietermaritzburg Chamber of Business (PCB) ‘Business of the Year’. Having fun while we learn energises and this motivates us in all fields. In your video, your sense of fun is infectious. Save Hyper picked up on this and the staff, children, teachers and bystanders all had a great time yesterday. By building relationships we can recognise and optimise opportunities. There is a sense of trust and people take risks more easily where there are positive relationships. Yesterday’s session was the first the team at Save Hyper had held. Yet, together they could experiment and be pioneers in this field. We need to share our experiences and the ripple effect goes way beyond our boundaries. I shared your examples and showed your video to the management and staff of Save Hyper. Thus 300 people enthused over your positive approach and wonderful ideas. So, a promotional activity demonstrated by you in Victoria, Australia was repeated in KwaZulu-Natal, Republic of South Africa. And the outcomes were positive. It is important to recognise opportunities to promote our brands. The children each left with their cupcakes in the beautiful magenta and lime branded Save Hyper boxes. So there was follow-through from the experience and this cemented the memories. They had something tangible to take home as a reminder. Capitalise on the culture of the organisation. Save Hype is a nice place to be. The experience is great. And this reflects directly back on the way the Beechworth Bakery works. There is a similar culture of caring for each other and caring for our customers. Tom, as you know, one of my passions is networking. This involves connecting people with people, people with opportunities and people with information. So, by sustaining our relationship over the years, I was able to be the catalyst in indirectly connecting the Save Hyper team with you and your work. This enabled them to see opportunities. And then this helped to release their energy and creativity. And of course, there was a lot of hard work involved, too. Tom, no geographic boundary can contain your enthusiasm. Your influence has overflowed and we are reaping the benefits here in South Africa. I do hope it won’t be long before you visit again? I’ll be in Sydney in November and perhaps I can ‘catch up’ with you and Christine then? It is rewarding working with companies where there is a deep understanding that ‘customer service is everybody’s business’. 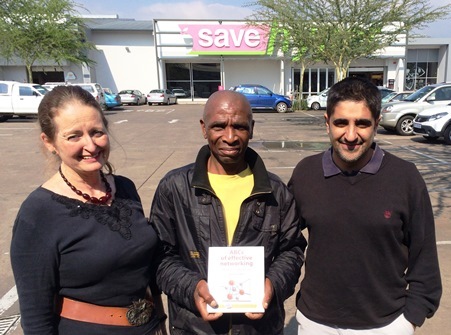 Save Hyper in Pietermaritzburg is an example of where the entire staff is involved in a six-week ongoing programme. Each week, in groups, 300 individuals participate in training sessions and this includes management, those involved in sales, administration, butchery, bakery, car-guards, cleaners etc. I am amazed at the quality of their input and their commitment to working together to raise their levels of customer service. Brenda and Rashaad Solomon, manager of Save Hyper during a training session. What are the benefits of providing excellent customer service? What is the impact on the business in general? Higher standards of service provide a competitive advantage. Competitors in the industry or line of business are thus challenged to aim for higher standards and the general levels improve. Sales and profit increase and thus there is business growth. The growth of the business leads to more taxes being paid and this helps the country’s economy. There will be more job opportunities. The business will become the employer of choice and thus jobs at that company will be sought after. Internal and external communication is improved. The business can invest in quality products. The reputation of the business is enhanced. How will the customers feel and what will they do? The customers will be happy with the service and products and continue to support. They’ll keep coming back and this will lead to an increase in the life-time value of the customer. Customers will know that we believe that long-term relationships are more important than sales. Customers feel good about shopping in this environment and tell their friends. Word-of-mouth advertising and marketing lead to more sales. Because there are good relationships, when things do go wrong, customers know they’ll be listened to and treated with empathy. They’ll think of this business as their ‘one-stop-shop’ for a whole range of their needs. Why will staff be more motivated? By smiling and being friendly, they will build relationships and bond with the customers more. Communication with customers makes it possible to get good ideas from customers. The growth in the business and greater productivity of the staff are likely to lead to salary increases. There is greater respect towards colleagues and good working relationships result. Staff will have a positive attitude towards the business, their jobs and the products and services offered. They’ll have improved product knowledge and be able to guide customers and this increases the level of sales. Customers are more satisfied. Staff enjoy a good and healthy work environment. It starts with YOU! If customers trust you, they are more likely to trust the products. All the above will escalate and support new higher levels of customer service. Thus more customers will shop and the business will grow even further. Customers and staff will be happy and loyal. Improving customer service standards has huge benefits. Some of the staff in discussion during a training session. For more information on customer service training, please contact brenda@strategy-leadership.com or phone +27 82 4993311. Save Hyper – How do we continuously improve our service? Revisit the company vision and goals on a regular basis. And explore what they really mean to the organisation and to the staff. How do the staff see them? How could they interpret and align their behaviour better? Create a culture of ‘continuous improvement’. Practice ‘positive discontent’. Regularly examine and question each element of your service. And for each ask: ‘is this the best it can be’? If the answer is ‘yes’, we review that same element at the assigned review time and ask the same question again. If the answer is ‘no’, then look at constructive and creative ways in which to remedy or improve that aspect of service. And implement. Go the extra mile. I love the expression: ‘there are no traffic jams on the extra mile’. So few companies go there so this becomes a competitive advantage. Make customer service memorable – it is an integral part of everyone’s work, regardless of job description. Listen to what customers are really saying (rather than ‘listen to your customers’). There I would add, ‘and take steps to find out what they are not saying’! Listen to your customers in a way that makes them feel valued. The quality of your listening is important. Consider everyone in the organisation as a brand ambassador. Observe how the staff present themselves. And this is deeper than just how they appear, although that is very important. Individual hygiene comes into this, too. How professional and loyal do they appear in everything they do? Take note of how staff members interact with customers and is their attitude positive? Are they warm and friendly and building relationships? Or are they just answering questions as part of their job? Engage with customers – both the external customers and the internal customers. Build relationships. Advise them on their needs and hi-light opportunities. Adapt to the customers’ changing wants and needs. And here we need to becognisant of past and potential customers, too. What do they want and need from your organisation or business? Find ways to creatively tap in to what people really think about your service and products. Have effective, regular surveys with people who shop at your shop – and also with those who don’t. Have effective measurement tools to track customer service. Get regular relevant and useable feedback from customers. Use it to improve business. Identify ‘stumbling blocks’. What is making it more difficult for customers to shop with us? How could we make it easier for our staff to do a good job? The managers and staff need to be visible and available. This applies particularly when a query needs to be resolved. It is pointless their being there, engrossed in ‘team-talk’ and not being available to customers. Address complaints promptly within the framework of your sound ‘bounce back strategy’. As managers, coach and mentor others. Transfer your skills. Mentor team members and communicate regularly and effectively with them. Empower staff through regular training and other initiatives. Good customer service should be acknowledged and rewarded. And this is an interesting point. The sooner a member of the management team or team-leader says ‘well done’, the more effective it is. And consider what reward would be appreciated? Sometimes, the acknowledgement is enough and they don’t need any other reward. Monitor the cost effectiveness of improved service to all aspects of the business, including admin and warehouse. Display products in the most appealing and effective manner. And merchandise productively. Everyone who answers a phone needs to be trained in telephone etiquette and use it effectively. Visit other retailers. Know as much about your competitors as possible. Use that information to build better service. 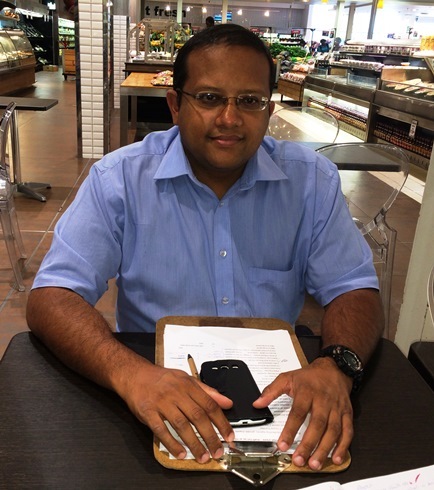 Also explore diverse businesses to see if there are ideas you could adapt and incorporate. Everyone needs to practise self-leadership. Be flexible and open to change and improving the way you do things. Make customer service a functional requirement of everyone’s job. Have fun! Enjoy your work. The conversations in groups provide a platform for quality conversation. By sharing ideas and perceptions, not only is information transferred, but relationships are built. Relationships both within the business and externally as well provide the framework within which customer service can flourish. For more information on Sustainable Customer Service strategy or any of the other services we offer, please contact brenda@strategy-leadership.com or phone +27 82 4993311. It is rewarding working with companies committed to lifting their levels of service. ‘Excellent customer service is one of the key factors that differentiate us from competitors.’ These were the words of one of the management team-members at a recent ‘Sustainable Customer Service Strategy’ workshop run ‘in-house’ for Save Hyper. 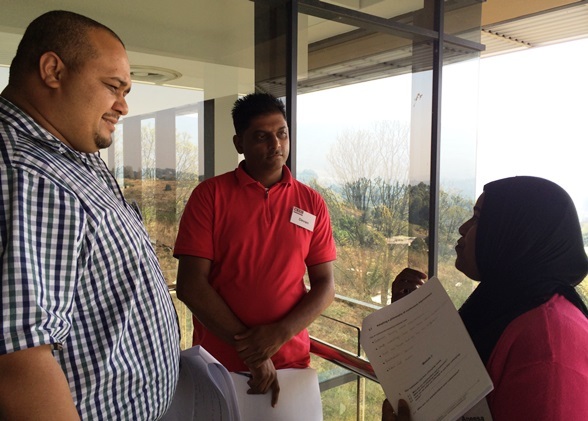 This one-day workshop provided the framework for a 6-week programme in which 100 staff members will be involved on an ongoing basis. Members of the management team of Save Hyper deeply involved in discussion. Happy customers become frequent shoppers and this leads to loyalty and customer retention. More people know about your organisation and products through ‘word of mouth’ marketing. Existing customers ‘spread the word’ and market you. A sound customer base is established and increased. An increase in satisfied customers accelerates the growth of the company. Better service provides a competitive advantage. Positive feedback increases brand awareness and builds the brand. There is enhanced brand equity. Customers feel an emotional attachment to the brand as they love shopping in your environment. Confidence and trust are built with both the internal and external customers and this has a ripple effect. There are more job opportunities through the increase in business. 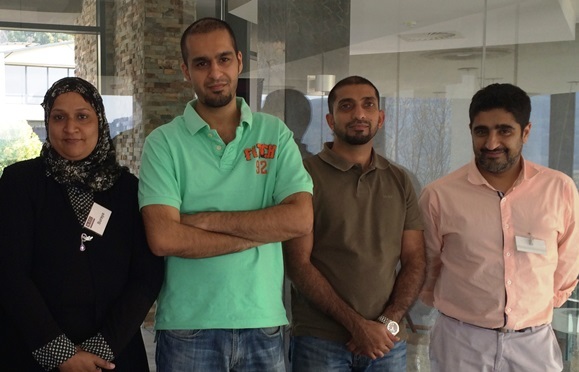 Satisfied customers ensure sustainable employment in the group. Increase in ‘lifetime’ purchases stabilises and increases business growth. The pride through being recognised as champions of service lifts standards even further. The motivating and energising environment increases staff satisfaction. Sales figures and profits improve and the business grows further. Better service leads to better margins which impacts on the service. The ‘spillover’ has a positive effect on relationships with suppliers. There is enhanced value to all stakeholders. There is greater value to the community and to society in general. Business can help to ‘make the world a better place for everyone’. Your business becomes the ‘company of choice’. As a facilitator, it is a great pleasure for me to serve a team of committed people who treat each other (and me) with respect and understanding. I’m looking forward to being part of their journey during the next six sessions! They deserve to achieve their goals. 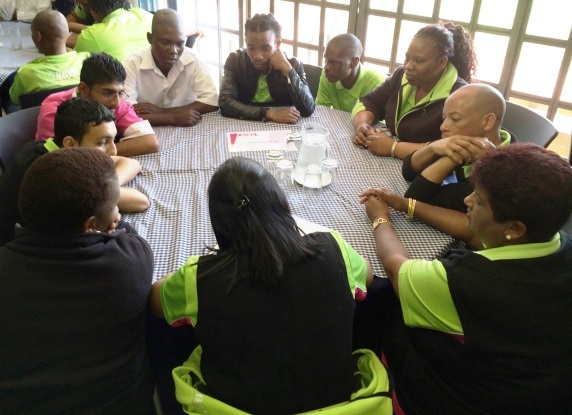 For more information on the facilitation of ‘Sustainable Customer Service Strategy’, a programme developed in conjunction with Leon Grové of Leverage and Growth, or other individualised services pleased visit the services page or contact brenda@strategy-leadership.com or phone +27 82 4993311.